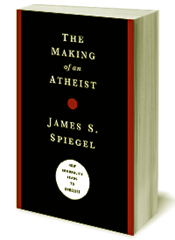 Today we continue with the second half of our interview with Jim Spiegel on his new book, The Making of an Atheist. We’re continuing to collect questions for a follow-up Q&A post, and everyone who submits a question is entered into the drawing for a free copy of the book. Chris Reese: Your approach to apologetics in the book seems to have a lot in common with a presuppositional stance. Do you find much that you agree with in that method of apologetics? Jim Spiegel: I’m not a presuppositionalist, but I do appreciate the insight of this approach that sin has a warping effect on the mind, that there are, as Alvin Plantinga puts it, cognitive consequences of sin. And it is just this dynamic that I think explains both a person’s descent into atheism and the ongoing obstinacy of atheists when faced with clear pointers to God. Having said that, I believe the study of the evidences for the faith is profitable in many ways, as it can quell believers’ doubts and clear away obstacles to belief for those who are sincerely investigating the Christian faith. CR: Mainstream apologetics has tended to pass over issues of psychology and morality in relation to belief in God or Christianity. Why do you think that’s been the case? JS: There are probably several reasons for this. For one thing, it might seem like a distraction to explore the psychological determinants of false beliefs about God when there are so many positive evidences to discuss, not to mention skeptical objections to refute. Also, it might appear to be an ad hominem fallacy to theorize about the moral-psychological roots of disbelief. But, to be clear, my thesis commits no such blunder, because an explanatory account of atheism, such as I give in my book, is different than an argument against atheism. My book does not aim to prove theism or disprove atheism (though I do mention many noteworthy evidences along the way). Instead, I aim to explain how atheistic belief arises. CR: What do you see that’s promising as well as lacking in apologetics or Christian philosophy of religion today? JS: It’s hard not to get excited about all that is happening in the area of intelligent design, both at the cosmic and organismic levels. The data regarding the fine-tuning of the universe is becoming more astounding every day, as is the evidence for design in cellular biology. (That such data prompted the theistic conversion of Antony Flew should make even the most hardened atheist think twice.) As for what is lacking, we badly need to see more work connecting ethical and psychological insights (e.g., about self-deception, moral weakness, the role of the emotions in belief-formation, etc.) to skeptical attitudes toward God and religion. And I would like to see work connecting aesthetics to philosophy of religion (e.g., developing arguments for God and/or against naturalism based on the reality of beauty in the world). These are some of the most popular posts at Cloud of Witnesses in 2009. Thanks to everyone who has read, commented, subscribed, or just stopped by! I look forward to continuing in 2010. May God richly bless you in the New Year! What about Those Four Greek Words for “Love”? Book Review – Did the Resurrection Happen? A few days ago I mentioned the recent attacks against philosopher Thomas Nagel by philosopher Brian Leiter of Leiter Reports due to Nagel’s choice of Stephen Meyer’s book Signature in the Cell as one of the best books of 2009. In a review of one of Nagel’s recent books, philosopher and historian David Gordon defends Nagel’s right to recognize Meyer and comments on Leiter’s gratuitous attacks. Nagel’s remarks on Intelligent Design are of great philosophical significance. He is an atheist and does not accept the view that a designing mind directed the evolutionary process. But he opposes what he deems a contemporary prejudice in favor of reductionist naturalism. He doubts that Darwinism can adequately explain the existence of objective value and looks instead to an immanent teleology in the world. Although he does not accept Intelligent Design, Nagel refuses to dismiss the movement as merely religious. Critics claim that design cannot be a legitimate scientific hypothesis; but at the same time, they maintain that the theory can be shown to be false. Nagel pertinently asks, how can both of these assertions be true together? Further, Nagel sees no constitutional obstacle to teaching Intelligent Design. When Nagel’s article on Intelligent Design appeared, Leiter could not contain his rage (see here and here). We were presented with the unedifying spectacle of Leiter’s speaking in abusive and condescending terms about one of the foremost philosophers of the past half-century. Nagel’s The Possibility of Altruism, The View From Nowhere, and the essays collected in Mortal Questions are classics of contemporary philosophy. 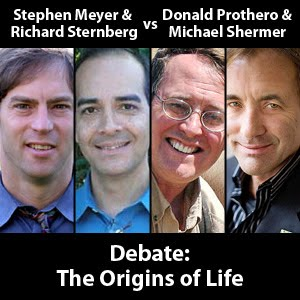 Matters worsened when Nagel recommended in The Times Literary Supplement Stephen Meyer’s Signature in the Cell as one of his “Best Books of the Year.” Meyer is a leading proponent of Intelligent Design, and his book argues that naturalistic accounts of the origin of life on earth confront severe difficulties. Only a designing intelligence, Meyer contends, can account for the intricately specified information contained in DNA. Nagel did not endorse Meyer’s conclusion but praised the book for its account of the “fiendishly difficult” problem of life’s origin. This recommendation aroused Leiter to new heights of contumely. It seems quite likely that Leiter never bothered to look at Meyer’s book. He quoted from an English professor of chemistry protesting Nagel’s claim that natural selection cannot account for DNA because it presupposes its existence. The chemistry professor, echoed by Leiter, said that natural selection exists in the preorganic world: was not Nagel ignorant to deny this? Both Leiter and the chemist ignored the fact, much emphasized by Meyer, that such resorts to natural selection are controversial. To appeal to the fact of their existence against Nagel is to assume what is much in dispute. Leiter extended his attack to accuse Nagel of ignorance of the relevant fields of study. Nagel has never claimed authority in biology; but had Leiter bothered to read Nagel’s well-known essay, “Brain Bisection and the Unity of Consciousness,” he would discover that Nagel has more than a passing acquaintance with neurobiology. I have gone on at some length about this, because the attempt by Leiter and others to block inquiry that challenges naturalism seems to me altogether deplorable. 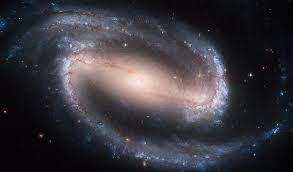 To some people, evidently, the first line of the False Priestess in In Memoriam is Holy Writ, not to be questioned: “The stars, she whispers, blindly run.” But even if these avid naturalists are correct in their metaphysics, debate needs to be encouraged rather than suppressed. Perhaps Leiter should reread On Liberty. Pending that happy event, one can only say of his abuse that the barking of Bill Sikes’s dog just tells us that Bill Sikes is in the neighborhood. I haven’t been able to find the original source of this quote, but it was cited by someone asking a question on William Lane Craig’s website. The following is the question, quote, and Dr. Craig’s reply. *Update: It turns out that this quotation actually came from a review Coyne posted of Ann Coulter’s book Godless. Apparently, someone (the questioner or his/her source) replaced Coulter’s name with Craig’s in the quote. Coyne brought this to Craig’s attention, and Craig removed the original post. See their exchange here. “What is especially striking is Craig’s failure to tell us what he really believes about how the earth’s species got here. It’s clear that he thinks God had a direct hand in it, but beyond that we remain unenlightened. IDers believe in limited amounts of evolution. Does Craig think that mammals evolved from reptiles? If not, what are those curious mammal-like reptiles that appear exactly at the right time in the fossil record? Did humans evolve from ape-like primates, or did the Designer conjure us into existence all at once? How did all those annoying fossils get there, in remarkable evolutionary order? “And, when faced with the real evidence that shows how strongly evolution trumps ID, he clams up completely. What about the massive fossil evidence for human evolution — what exactly were those creatures 2 million years ago that had human-like skeletons but ape-like brains? Did a race of Limbaughs walk the earth? And why did God — sorry, the Intelligent Designer — give whales a vestigial pelvis, and the flightless kiwi bird tiny, nonfunctional wings? Why do we carry around in our DNA useless genes that are functional in similar species? Did the Designer decide to make the world look as though life had evolved? What a joker! And the Designer doesn’t seem all that intelligent, either. He must have been asleep at the wheel when he designed our appendix, back, and prostate gland. “What’s annoying about Craig is that he demands evidence for evolution (none of which he’ll ever accept), but requires not a shred of evidence for his alternative hypothesis. I wasn’t aware that Coyne, a prominent biologist at the University of Chicago, had taken any cognizance of my debate with Francisco Ayala on “Is Intelligent Design Viable?” His response is precious because it illustrates so clearly exactly what I said in the debate: Darwinists tend to confuse the evidence for the thesis of common ancestry with evidence for the efficacy of the mechanisms of random mutation and natural selection. Did you notice, Tom, how all of Coyne’s remarks pertain to the former, not the latter? And yet it was precisely evidence for the latter that I was asking for in the debate. It just amazes me how such brilliant men can be so inattentive to the structure of an argument. As for his other questions, I addressed them specifically in the debate and the public Q & A that followed. Along with Richard Sternberg and Donald Prothero. Brian at Apologetics 315 helpfully provides the details. I just started listening today and it’s quite stimulating! Robert Crowther’s recap is here. Michael Shermer’s recap is here. Stephen C. Meyer’s Signature in the Cell: DNA and the evidence for Intelligent Design (HarperCollins) is a detailed account of the problem of how life came into existence from lifeless matter – something that had to happen before the process of biological evolution could begin. The controversy over Intelligent Design has so far focused mainly on whether the evolution of life since its beginnings can be explained entirely by natural selection and other non-purposive causes. Meyer takes up the prior question of how the immensely complex and exquisitely functional chemical structure of DNA, which cannot be explained by natural selection because it makes natural selection possible, could have originated without an intentional cause. He examines the history and present state of research on non-purposive chemical explanations of the origin of life, and argues that the available evidence offers no prospect of a credible naturalistic alternative to the hypothesis of an intentional cause. Meyer is a Christian, but atheists, and theists who believe God never intervenes in the natural world, will be instructed by his careful presentation of this fiendishly difficult problem.